Old Colony Heating, Air Conditioning & Plumbing is proud to serve the Cohasset community! About Cohasset, MA - Happy to be your hometown Heating & Air Conditioning Contractor! With approximately 7,500 residents, Cohasset is a small town located in Norfolk County, Massachusetts. It was first discovered in 1614 when Captain John Smith was exploring the New England coastline, and the name comes from the Algonquian term “Conahasset,” which means “long rocky place.” A majority of the southwestern portion of this town consists of Wompatuck State Park and the Whitney and Thayer Woods Reservation. Cohasset operates its own school system, serving 1,500 students, and high school students can attend either Cohasset Middle/High School or South Shore Vocational Technical High School. 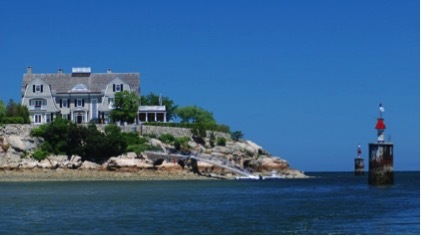 Despite being a fairly small community, there are a few popular destinations in Cohasset. Boating fans might like to check out the Cohasset Sailing Club and the Cohasset Yacht Club. There are a variety of specialty shops located in town at which visitors can search for some local treasures, such as Ports & Company, Twist, Outside In, and Buttonwood Books and Toys. Then, after a long day of shopping, a stop at one of the town’s great local restaurants like Bia Bistro, Brisa Tapas & Wine, or French Memories might be in order. As a coastal community, the climate of Cohasset is directly influenced by the Atlantic Ocean. This means that summers can be warm with high humidity, and conditions can get hot at times. Average high temperatures reach the low-80s during July, and this can be quite uncomfortable, especially for the elderly, younger children, and people with chronic respiratory conditions. An energy efficient system can help to keep interior temperatures comfortable while also improving indoor air quality to help you breathe easier at home. During the winter months, the weather can be cold or snowy, with overnight lows falling below freezing. This can be especially dangerous when there is significant precipitation in the area, as roadways can freeze over. Pipes and plumbing might also be at risk of damage, so it is crucial that homeowners invest in a good furnace or heat pump in order to stay warm regardless of outdoor weather conditions.